Our child sponsorship program started in 2005 with a handful of children. Now, thanks to our sponsors, Children of Uganda (UK) supports over 75 children and students by providing school fees, boarding fees, uniforms, books, materials and school meals. We started off placing our children in primary schools in the region, but now many have passed their exams and moved on to secondary school. We currently have children in a number of different primary and secondary schools across the region. Secondary schools are selected in terms of location and suitability to the individual child. Some are boarding to overcome distance from home. As our Educational Programme matures, so do our students. Our aim is to offer further support to our brightest students – to help them get a trade. We are now supporting quite a few students at vocational colleges, where they are doing courses in engineering, car mechanics, building, tailoring and hairdressing. This will allow them to earn a living for themselves and their families. For example Prossy has to look after her mother who has HIV and is blind. 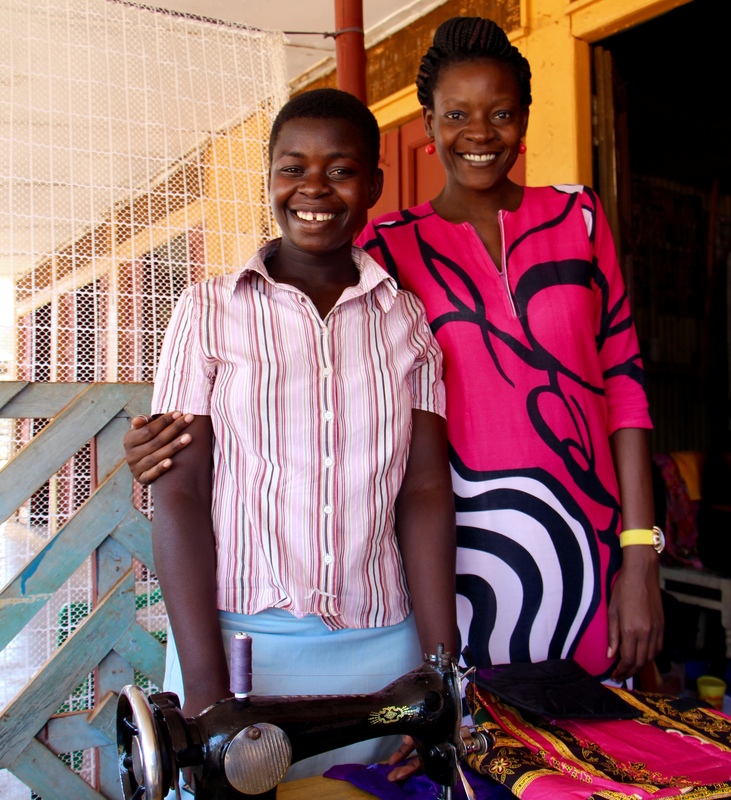 We are supporting her in a tailoring course, so that she has a profession that will support both herself and her mother. We are delighted to announce that two of our sponsored students did so well in their end of secondary school exams that they are now attending The University of Kyambogo in Kampala. Orphan James Wakabi – who has been in our Programme since primary school – is doing a BSc in Technical Engineering and Namuddu Sharifa is doing a degree in Management Science. 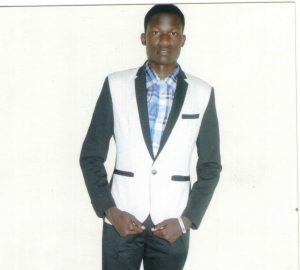 Our other success story is Jonathan Oketayot, who has received a special sponsorship from the Signum Foundation in Poland. Jonathan is now studying law at the prestigious University of Dar es Salaam. This is a tremendous acheivement for two teenagers from a poor, rural area of Uganda. We are seeking funds to support these two students in their academic pursuits. The photo on the left shows Annette with Proscovia Kasega. The centre photo shows Annette with James and Sharifa and Jonathan is on the right. The majority of our sponsors are in England, but recently – thanks to the efforts of the Signum Foundation – we have a Sponsorship Scheme in Poland, with 10 sponsors and growing. We are also affiliated with Children of Uganda in the USA. Books and pens are provided to the adults in the community interested in attending our Adult Learning Classes. Teaching is done in the local language (Lusoga) and currently conducted out in the open, under a tree! Groups complete Prima 1 (stage) and receive certificates, and then go on to Stage 2. Many have expressed interest in learning English. Our new Community Centre will bring these classes indoors.